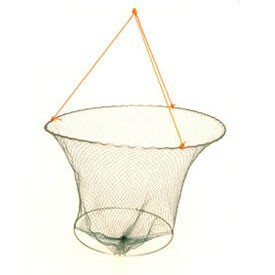 measures 24"x . net drop of 24", comes with 25' of multi strand nylon rope. Ideal for use on piers, jettys, sea walls & any high water venue.